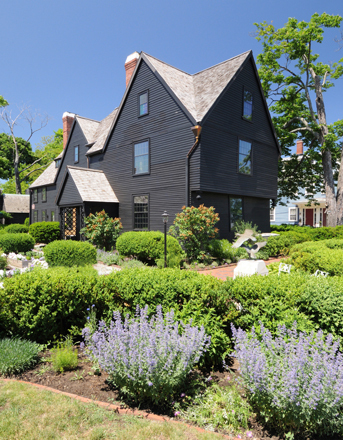 House of Seven Gables (Turner House) (c 1668), Salem, Massachusetts; East Side. 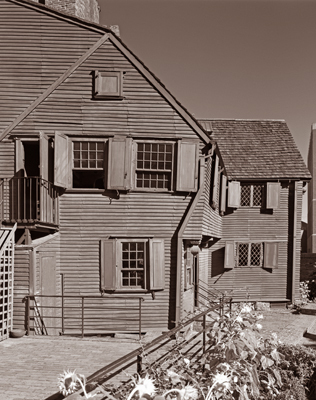 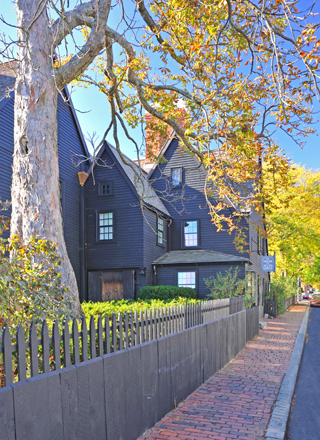 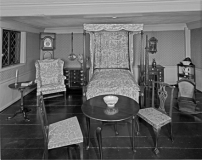 House of Seven Gables (Turner House) (c 1668), Salem, Massachusetts; South and West Sides. 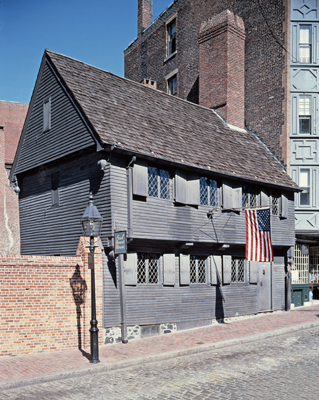 Blake House (c 1661) Dorchester (Boston), Massachusetts. 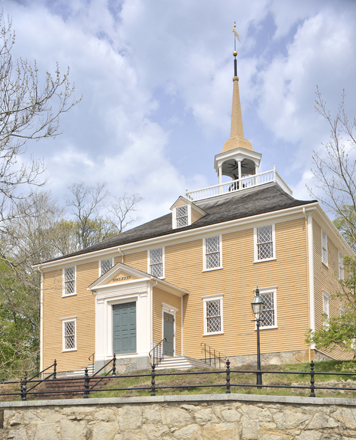 Built in Dorchester which later became part of the City of Boston. 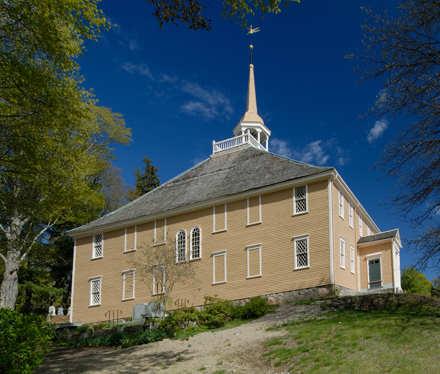 Old Ship Meeting House (1681), Hingham, Massachusetts; North and West sides. 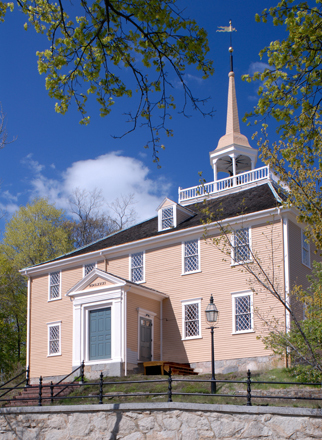 Old Ship is the oldest meeting house in New England and said to be the oldest meeting house in continuous religious use in the United States. 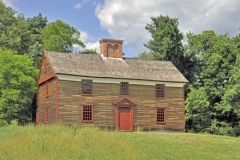 Boardman House (1692), Saugus, Massachusetts; South facade in summer. 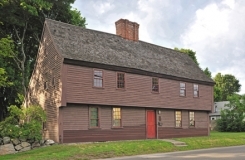 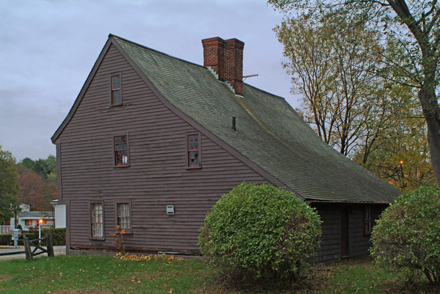 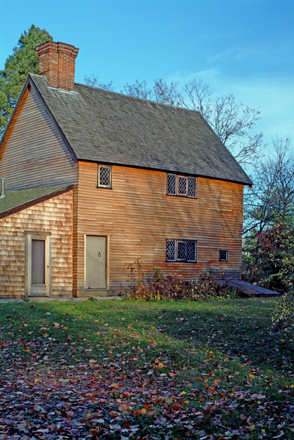 Boardman House (1692), Saugus, Massachusetts; South facade. Aptucxet Trading Post, Bourne, Massachusetts; Northwest side in fall. Replica of 1627 trading post built by Plymouth Colony to facilitate trade with New Amsterdam. 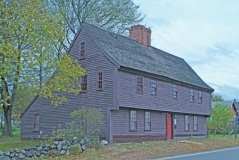 Aptucxet Trading Post, Bourne, Massachusetts; Southeast side in spring. 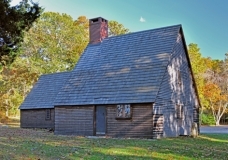 Replica of 1627 trading post built by Plymouth Colony. 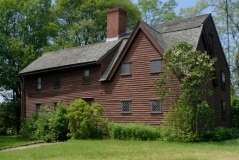 Balch House (late 17th century), Beverly, Massachusetts. 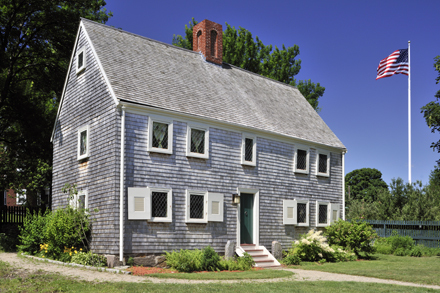 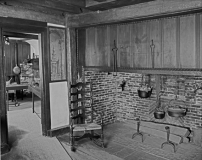 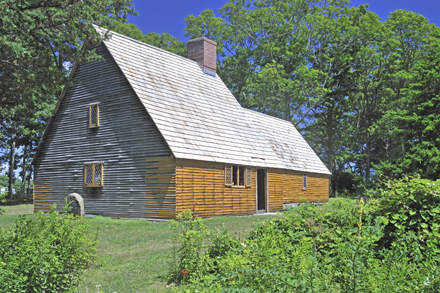 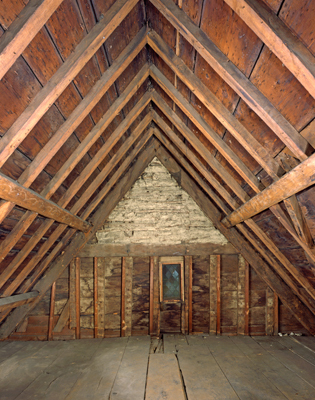 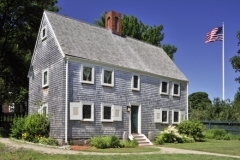 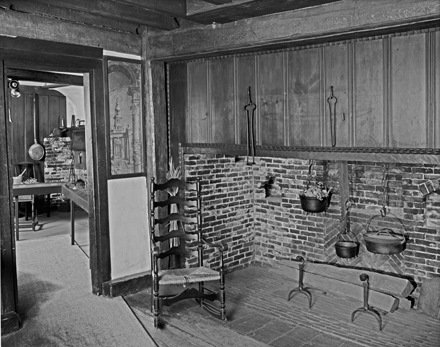 Home built by one of the old planters who had come to Salem from Gloucester in 1626, but were forced to move to Beverly after John Endicott arrived at Salem in 1628. 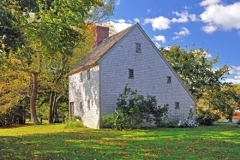 Hoxie House (c. 1675), Sandwich, Cape Cod, Massachusetts; Fall view.